The man behind a string of deadly attacks across Russia, Docu Umarov, has been listed alongside the world’s most dangerous terrorists. The decision was made by the UN Security Council’s Sanctions Committee, specializing in Al-Qaeda/Taliban issues. Thus, the UN member states are obliged to immediately impose sanctions on Umarov, freezing his financial assets, banning his movement and cutting off any possible supplies of weapons or other assistance to the terrorist. The Russian Foreign Ministry has welcomed the move, underlining that such a decision signals the UN’s solidarity with Russia in the joint fight against terrorism. "This step means support for the Russian position, not only from the US, which acknowledged Umarov as an international terrorist last year, but also from the UN Security Council, which has made a fair judgment about his crimes," the Russian Foreign Ministry said in a statement, as quoted by the Interfax news agency. Docu Umarov, 46, backs the idea of independent Muslim state in the North Caucasus that would include Chechnya, Dagestan, Ingushetia and some neighboring regions. 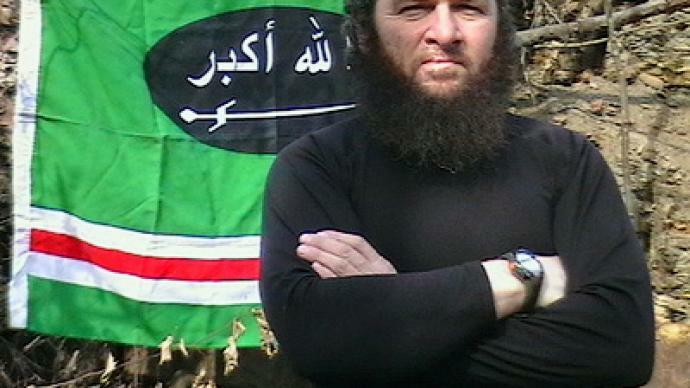 The terrorist has long been considered one of the most influential Chechen field commanders. He became “president” of the self-proclaimed Republic of Ichkeria in 2006. The following year he proclaimed himself “emir of the Caucasus Muslims” and created “the Caucasus emirate”. ­"Years of blood and tears"
Docu Umarov is believed to be the mastermind behind numerous terrorist attacks in Russia in recent years. 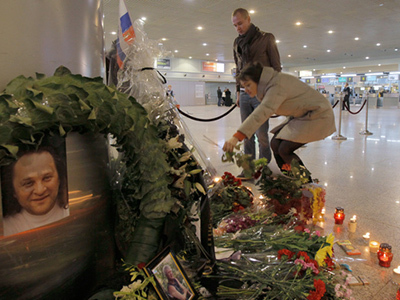 He claimed responsibility for the recent bombing of Moscow's Domodedovo Airport, which killed dozens of Russian and foreign citizens. 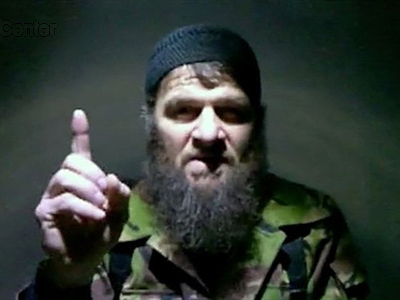 In a video released soon after the blasts, Umarov warned of more terrorist acts to follow, promising Russia “a year of blood and tears”. Umarov also claimed he was behind the blast next to Moscow’s Security Service Academy on March 9. The incident is believed to be connected with the two blasts that hit buildings in north Moscow on March 11. In the video address published on an extremist site, Umarov said that these blasts are revenge on the Federal Security Service officials that attacked the houses of “innocent Mujahedeen”. Umarov was also behind the twin blasts that rocked the Moscow Metro in March 2010, killing 40 and injuring over one hundred. Back in 2007, the terrorist claimed responsibility for the deadly derailment of the Nevsky Express train that killed 28 people. Umarov was also said to be behind the 2004 Beslan school siege that took the lives of 300 people, most of them children.